Rise extends value beyond the HR department with a simple, all-in-one HRIS software solution for everyone. Reclaim your time with an intuitive single HRIS system of record to maintain all company and employee information, store digital paperwork, and more. And never get dragged into that spreadsheet black hole again. Empower employees and managers to keep their own info up-to-date in your HR system so you get fewer requests and can finally focus on what matters most: your people. An HRIS software solution that works for you. Tap into any information you require—contracts, tax documents, job descriptions, employee data, PTO, analytics reports, benefits, performance evaluations, you name it—whenever and wherever you need it. Simplify how you track and manage time off. Help employees understand your time off policies and easily book time off when they need it. Make it simple for managers to review and approve requests, plan team capacity, and avoid staffing shortfalls. Need to track unlimited vacation? Taking note of the “work from home” trends? Roll out custom policies in your HR management software that match your company’s views on work-life balance perfectly. Measure sentiment to get actionable insights into how engaged and happy your employees and teams are. Collect feedback on what’s working and what can be improved with lightweight, intuitive surveys built right into your HRIS system. Put people first. With all people-related data under one roof, it’s easy to see what every single employee needs to succeed in your HRIS software. Spend less time keeping your tools in sync. Rise seamlessly integrates your HRIS solution with payroll, benefits, ATS, time and attendance, messaging, and other mission-critical software. 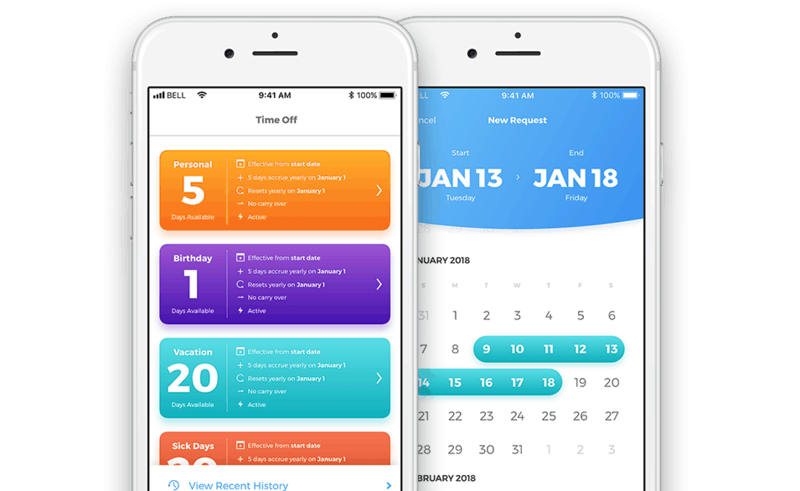 Rise’s mobile app makes managing time off easy. 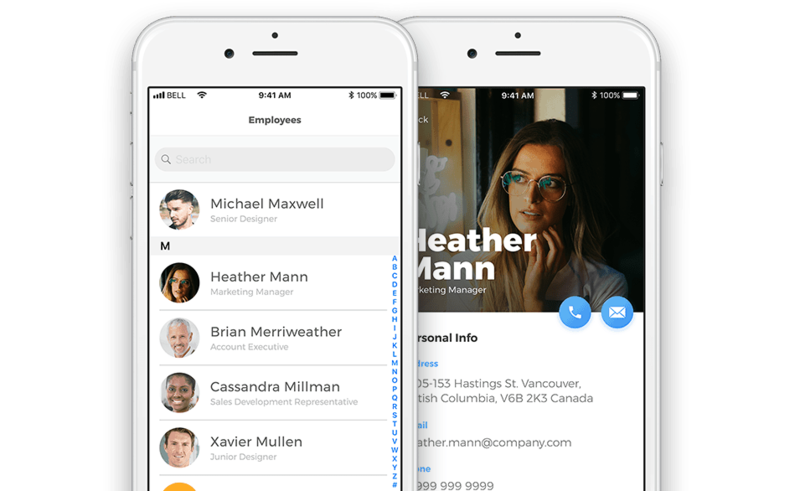 Employees can view time off balances, submit requests, and get approved in an instant—plus they can access their personal profile, the company directory, and more. Centralized database. With all employee information in one place, get things done—anywhere, anytime. Compliant and secure. Rest easy knowing your data is always accurate, compliant, and protected. Document storage. Store and share mountains of documents without killing a single tree. Accurate reporting. Impress the top brass with meaningful analytics. No data crunching required. Customizable. Tailor your human resources software to track details that matter—whether that’s computer preferences, birthdays, or favourite pizza place. History & auditing. Keep track of the old and the new and everything in between so you never come up empty-handed. Smart reminders. Don’t be that guy. Never miss another training deadline, birthday, or benefit date. Intuitive interface. Get started in a New York minute with our simple and user-friendly HR software. Custom workflows. Make your workflows work for you by removing bottlenecks and turbocharging decision-making. Controlled access. 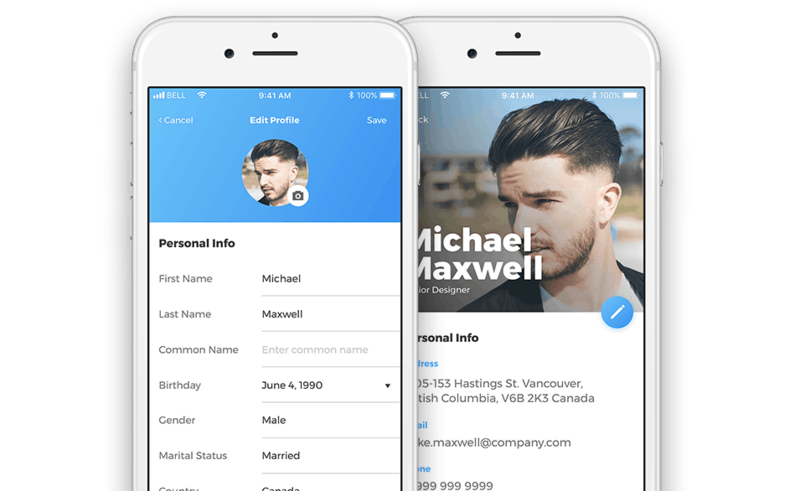 Give everyone access to the data they need but with permissions you control. Easy access for employees. All the info your people need at their fingertips, from benefits to time off and beyond.